EC’s Gracie Boggs eyes a shot against McClain. Katrina Bowman of East Clinton drives to the hoop. 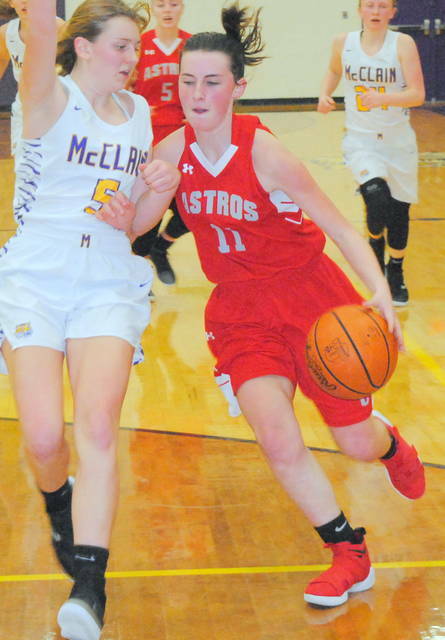 GREENFIELD — The Lady Tigers of McClain used strong starts to both halves of play and registered their 10th win of the season Wednesday 54-44 over the East Clinton Lady Astros in a non-conference renewal of a rivalry between two former members of the now-defunct South Central Ohio League. 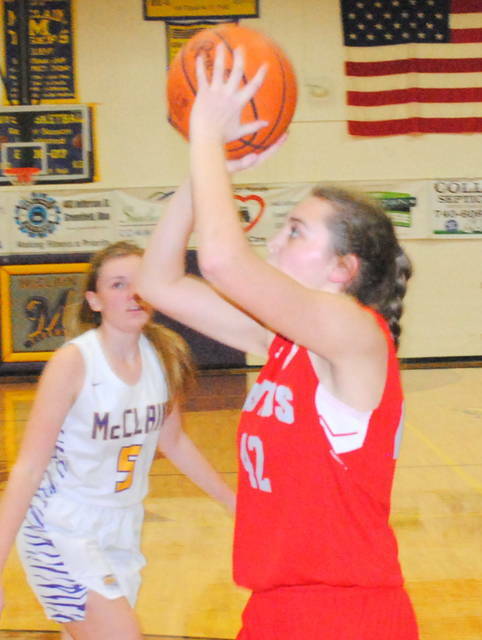 The Lady Astros reeled off four quick points as Campbell found the bottom of the net and Durbin sank two free throws to cut the McClain lead to four with 1:06 to play.